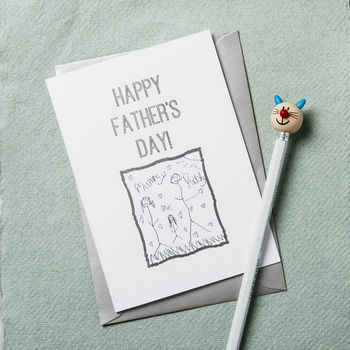 A beautiful silver foil 'Draw Your Own' Father's Day Card. 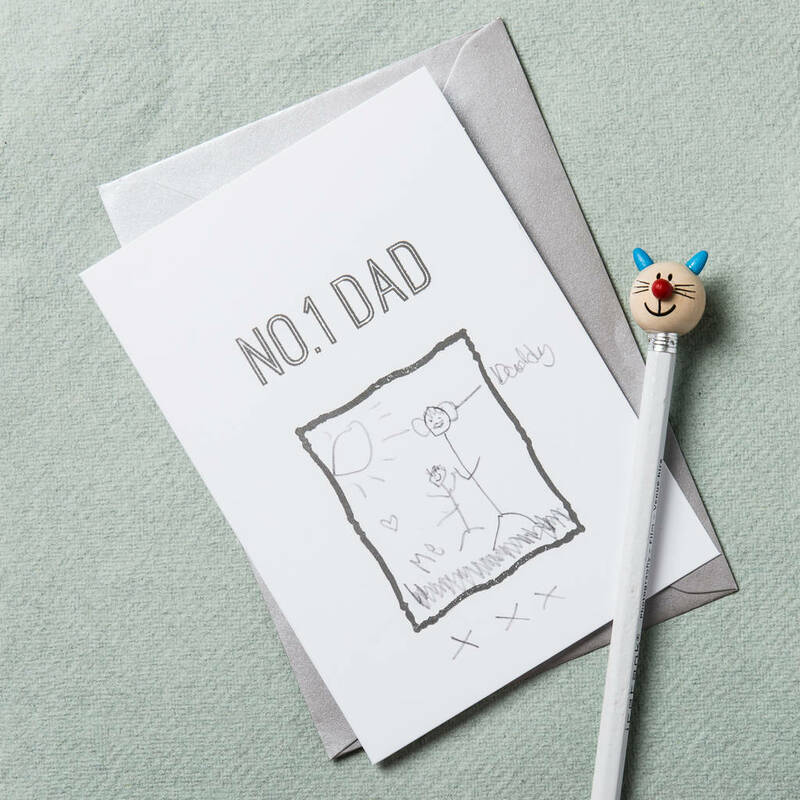 Make one of these lovely little cards completely unique to you by personalising it with a drawing by your little one. We'll personalise your silver foil message at the top and then send your card with an empty picture frame for your creative masterpiece. 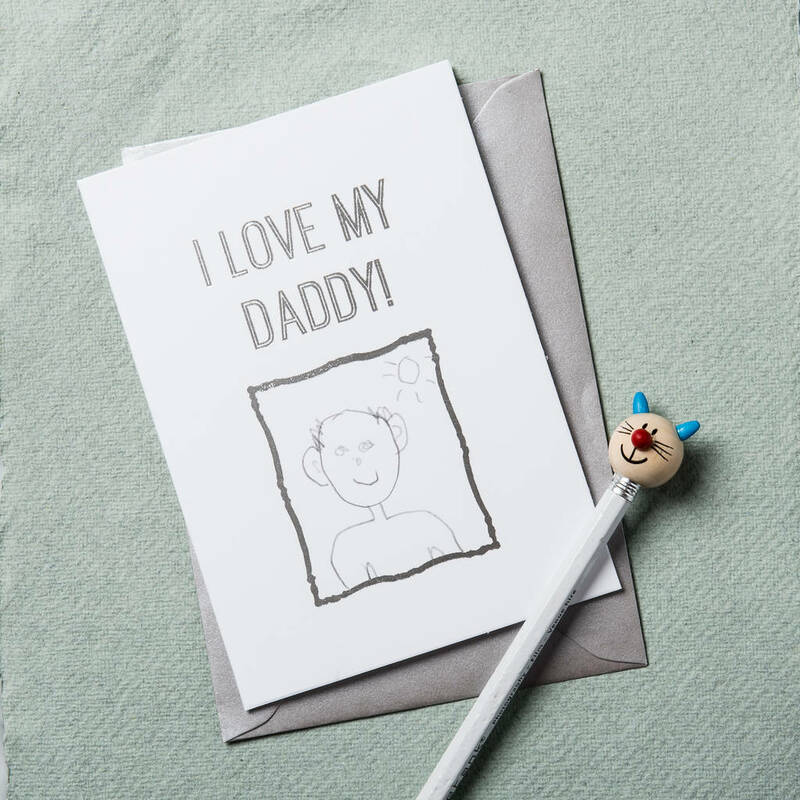 The perfect Father's Day card. Each card comes with a silver envelope.